100% of all donations go directly to the kids. This is possible because John and the Lingap Board of Directors pay all administrative overhead expenses. This enables your donation to have the greatest possible impact on the children. Become "A Place at the Table" sponsor. This sponsorship program of $25 per month ensures that we don't have to turn away children who desperately need a safe haven. It is the principal program that ensures the continued operation of the Lingap Center. Enrollment is safely and confidentially accomplished on this website utilizing a credit card. Just click here to enroll Your support will help to change the lives of some pretty great children for the better and help to build positive futures. Since we are a 501(c)(3) organization, all donations are fully tax-deductible. If you would prefer to make a one-time donation rather than enroll in our recurring sponsorship program, this too can be easily done by clicking here. All donations are tax-deductible. John typically travels to visit the Lingap Center about four or five times each year. Since he and the board personally pay all Lingap Children's Foundation administrative expenses including travel costs, the financial burden is significant. If you would be interested in assisting by donating airline miles, please contact him at helpingkids@lingapcenter.org. One of our most successful means of raising money has been through fundraisers at private homes, churches or schools. These are an excellent way to learn more about children's issues throughout the world, while spending time with family and friends in support of a good cause. We would love to speak to your club or organization about a variety of topics; from starting an international not-for-profit organization to the daily struggles and joys of the children we serve. Click here to view our speakers' brochure. If you would like to make a donation of stock, please contact David Richmond, a member of the Lingap Children's Foundation Board of Directors at 517-536-5000 or by sending him an E-mail at helpingkids@lingapcenter.org. 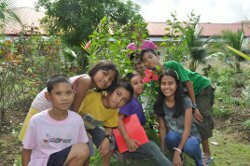 There are a variety of ways to support the Lingap Center through various planned giving programs. These include things such as estate giving, wills and bequests, to charitable remainder trusts. To learn more details about planned giving, please contact The Lingap Children's Foundation at 517-529-9702 or by E-mail at helpingkids@lingapcenter.org.